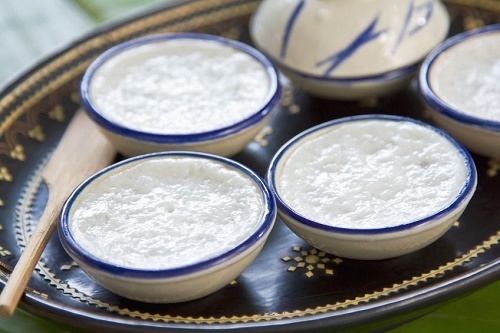 Open a can of unsweetened coconut milk, mix in sugar and boil in a saucepan. Drop in a cup of rice and simmer it until the rice is properly cooked. Mix 3 cups of half-and-half, 5 eggs, vanilla and ¼ cup sugar in a bowl and heat over a low flame. Stir in the rice mixture and transfer to a baking dish. Your custard will be ready once it spends an hour in the oven.